The name horse rail is a dead giveaway that this fence was designed for horses. This is a relatively new and high-tech fence design that is meant to replicate a traditional board fence, with the added benefit of having low maintenance. 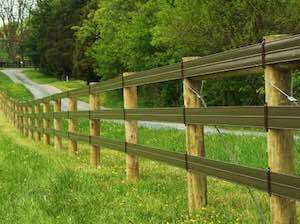 The horse rail fence is made of five-inch wide vinyl that is stretched between, and coated around, three high tensile wires, giving the appearance of a board rail. It is a continuous rail that is installed with brackets on each post that allows the rail to slide. 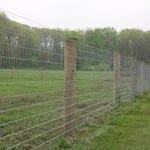 The rail is then stretched tight just like a standard high tensile wire fence. The initial cost of a horse rail fence is higher than a board fence, but if you factor in maintenance over the lifespan of the fence, it can be a very economical choice. 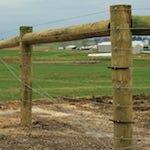 A horse rail fence is best suited for horses, but it is also a good choice for cattle. 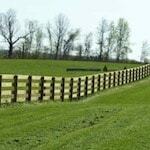 Horse rail fencing is highly visible so the horses can clearly see their boundaries. 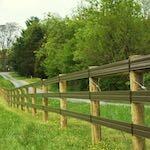 Horse rails are extremely durable and will last a very long time. 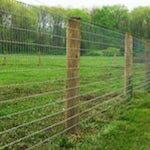 A horse rail fence may be the most attractive type of fencing used for keeping animals in an enclosed area. 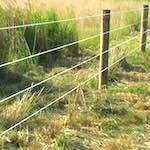 Due to this and the quality of the rail fence, you may see an increase in your properties value.